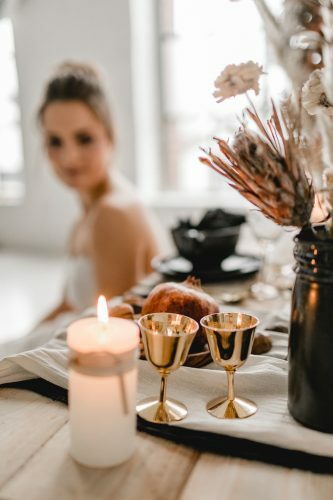 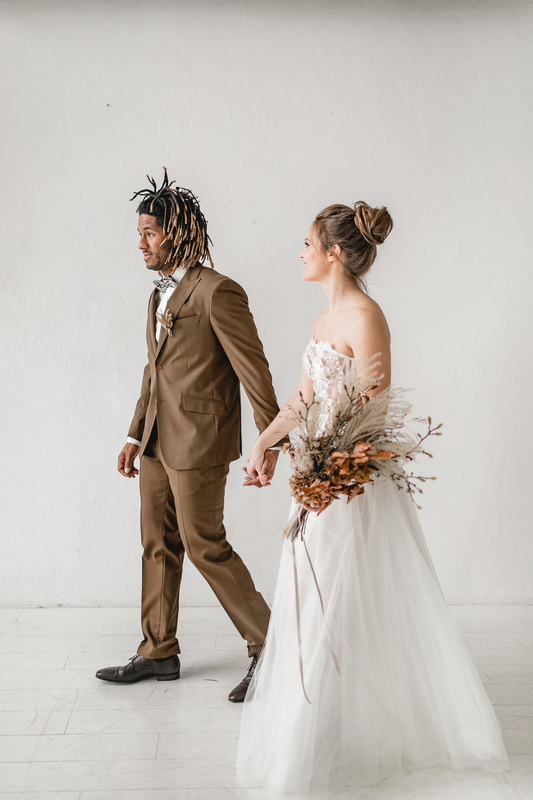 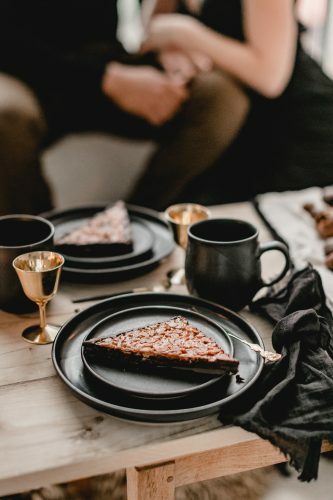 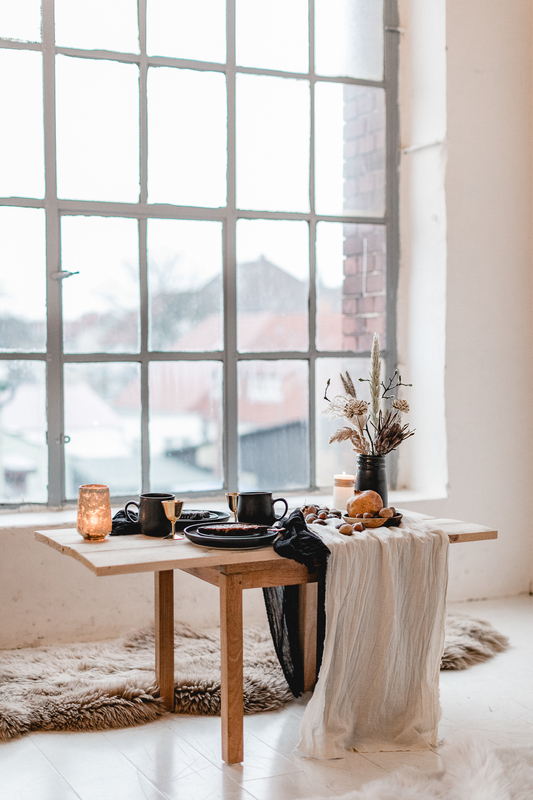 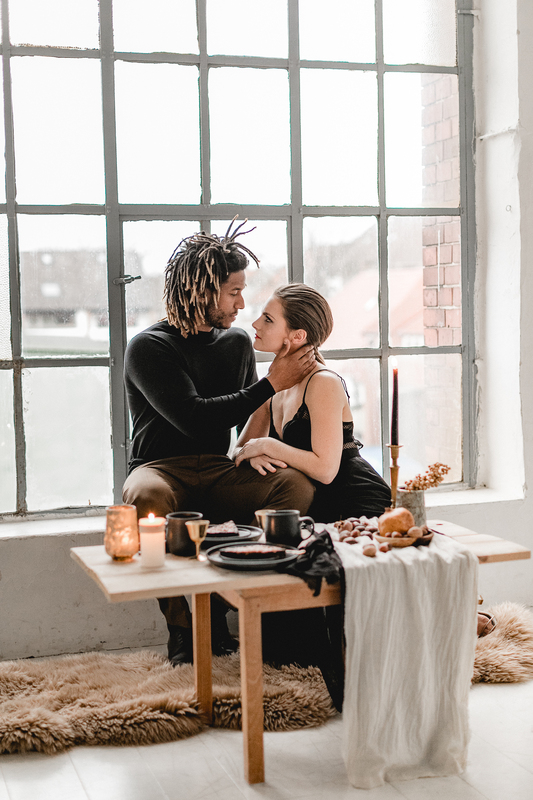 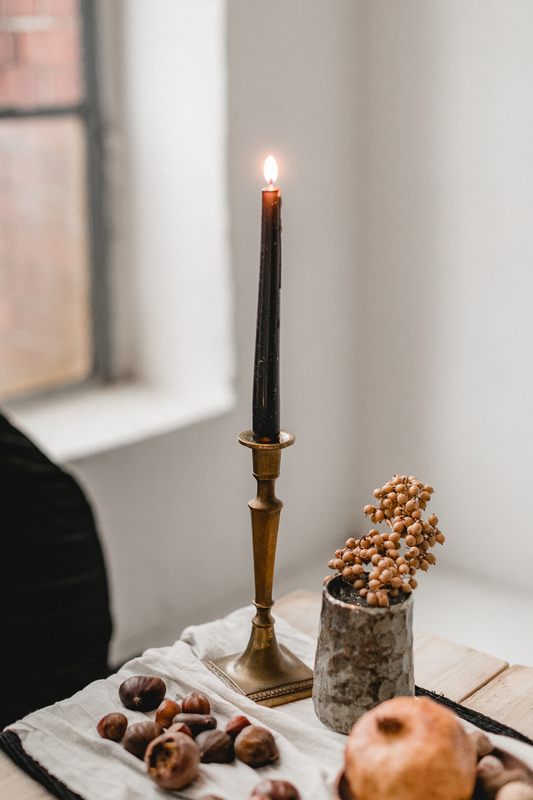 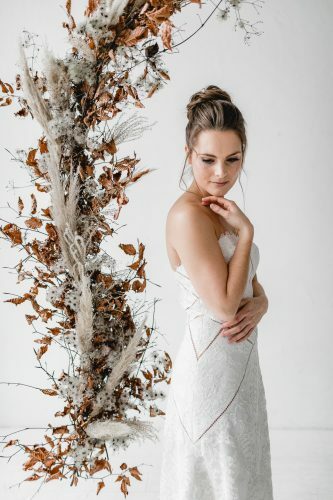 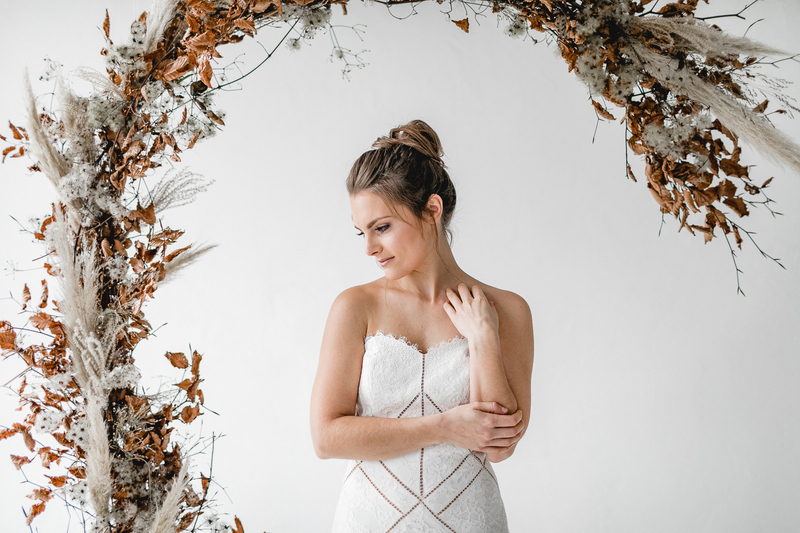 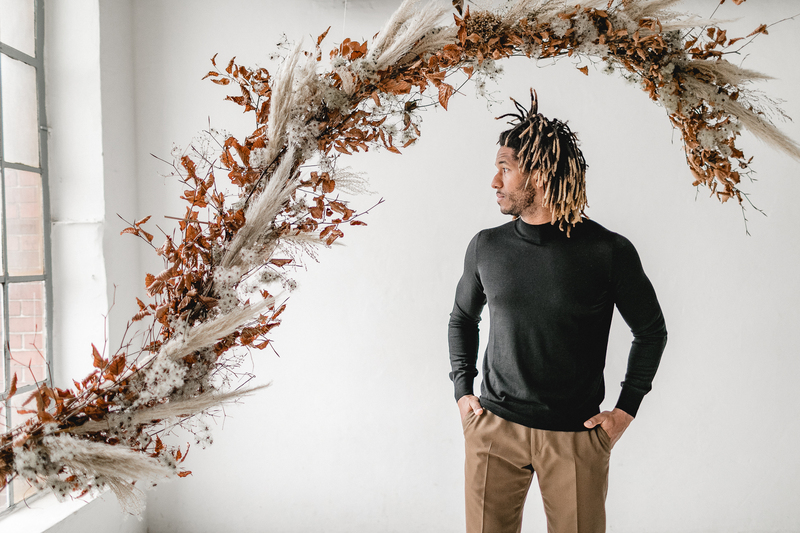 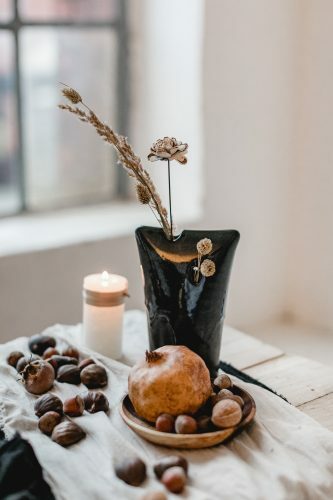 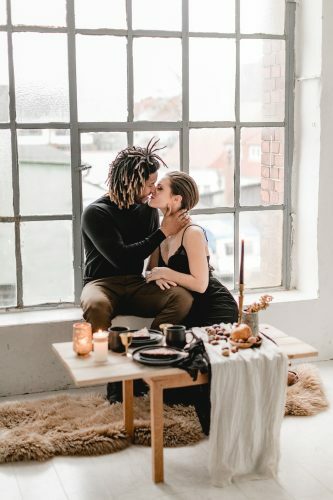 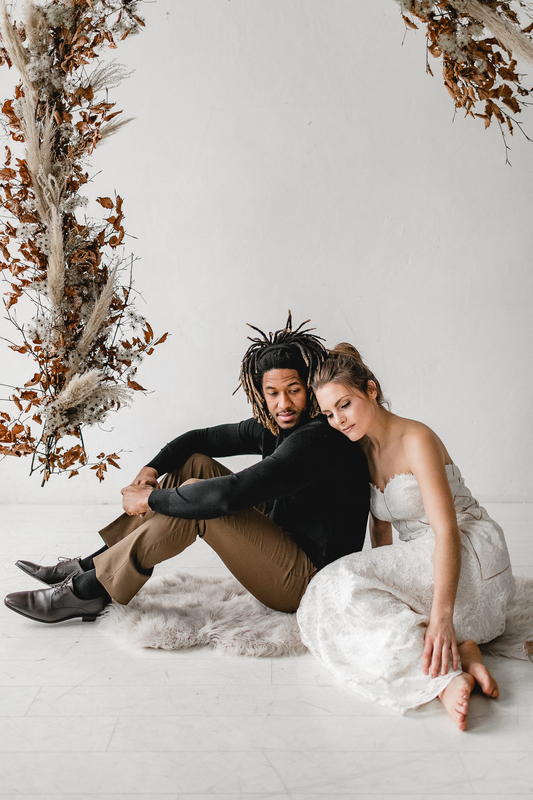 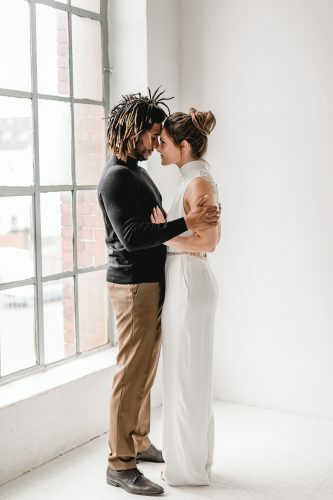 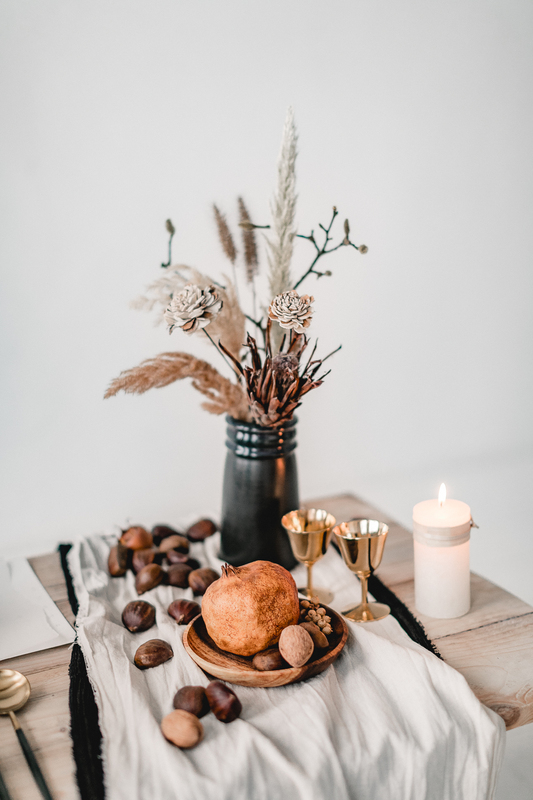 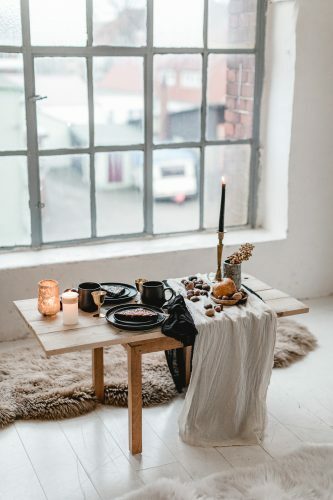 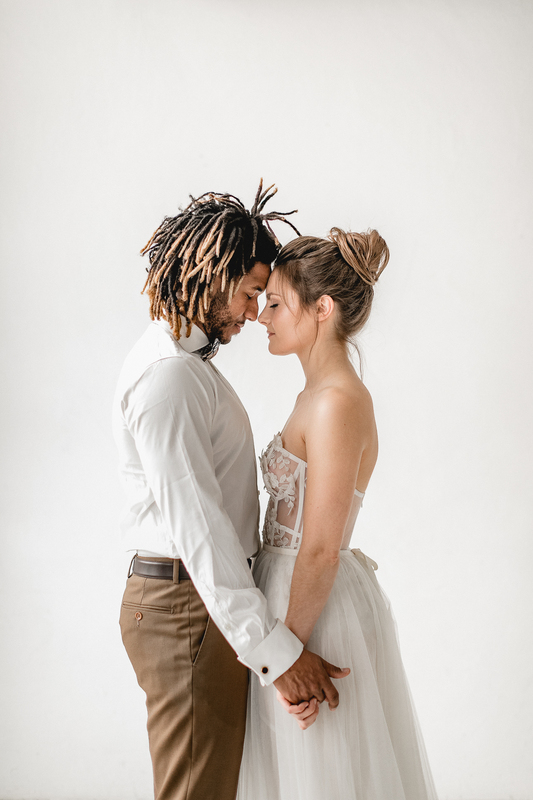 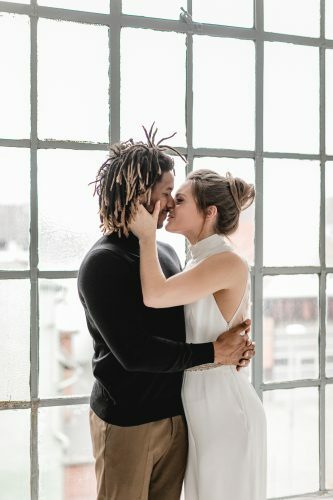 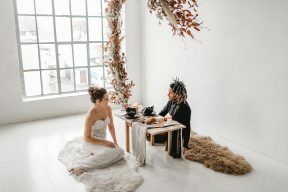 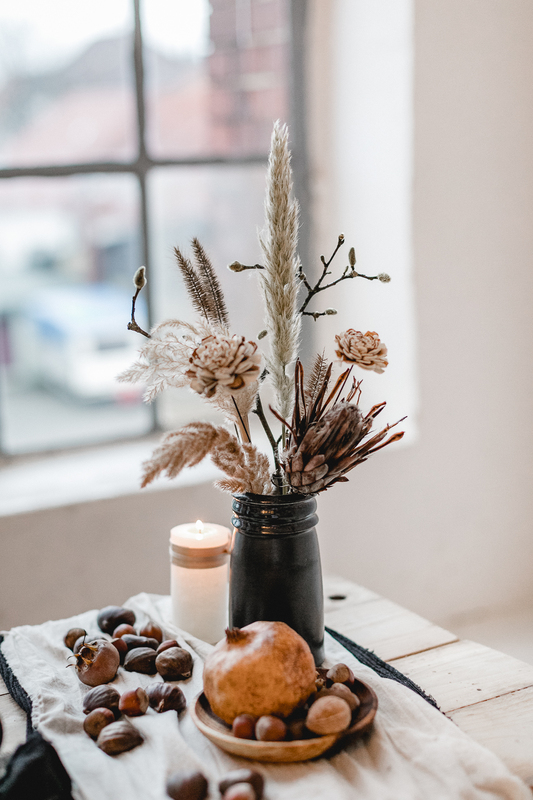 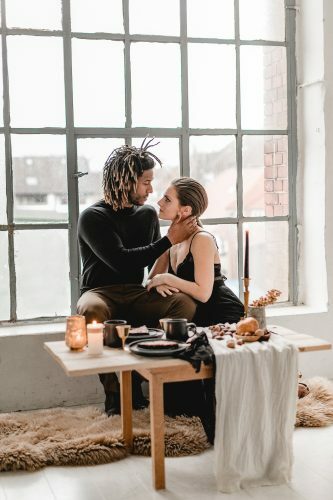 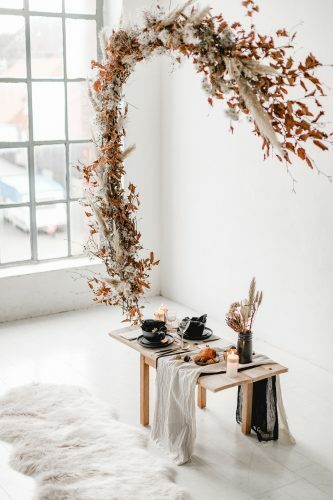 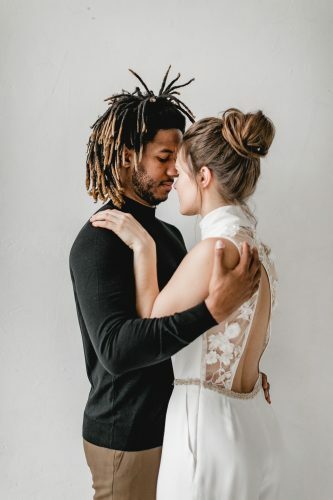 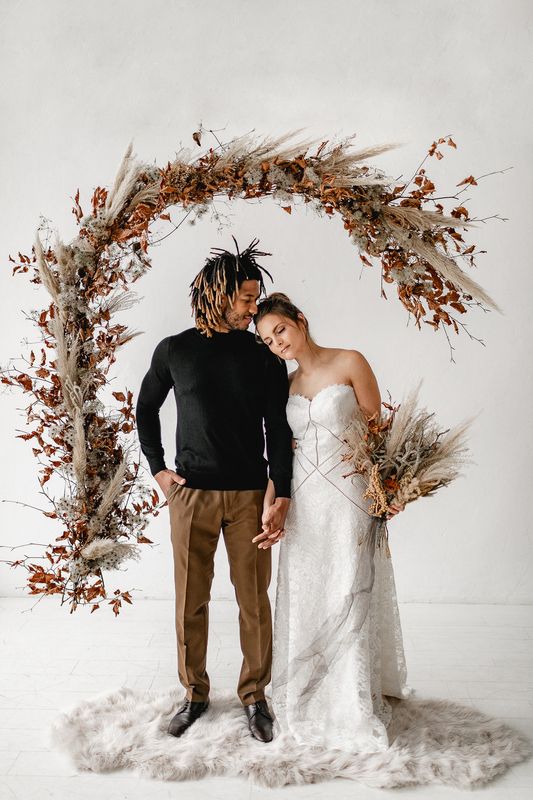 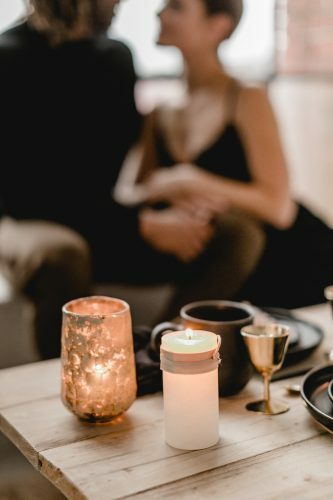 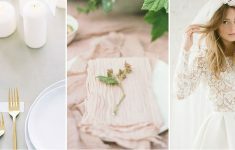 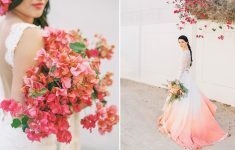 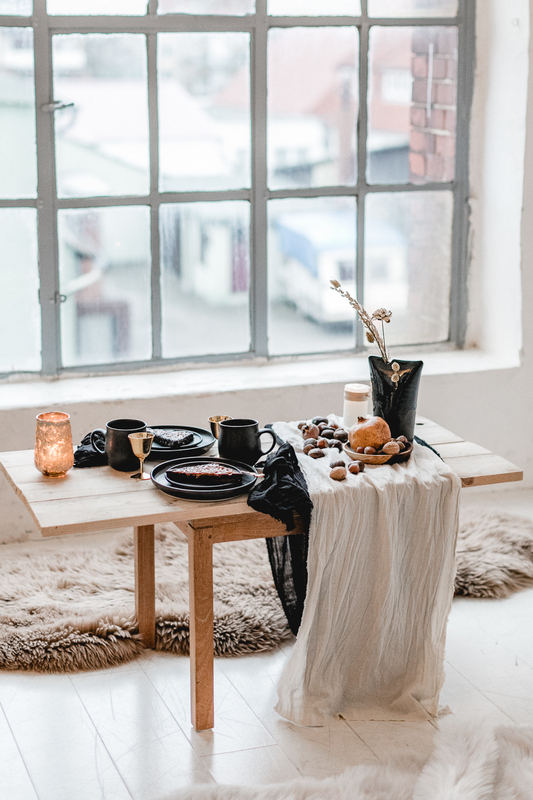 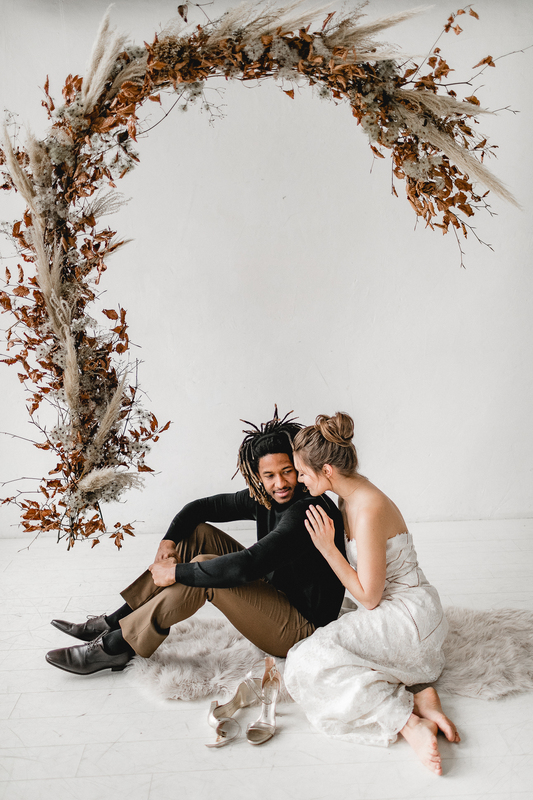 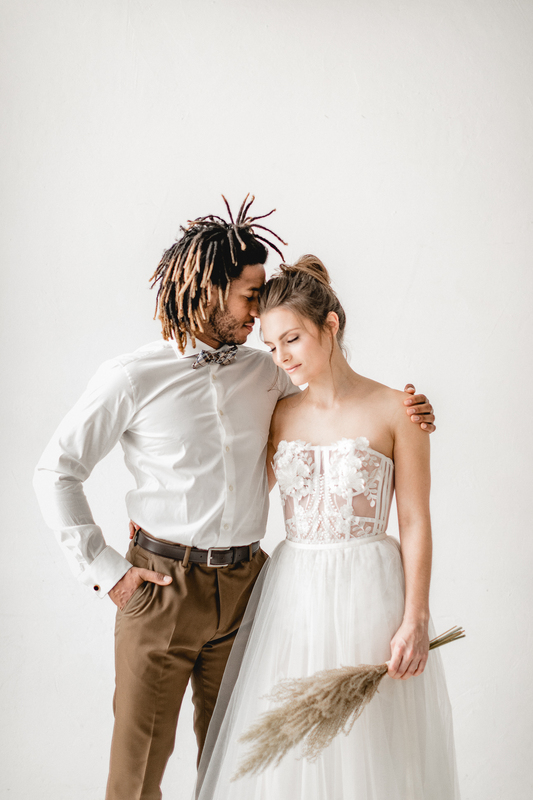 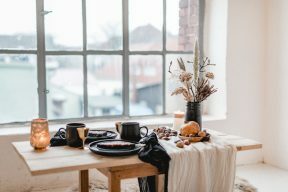 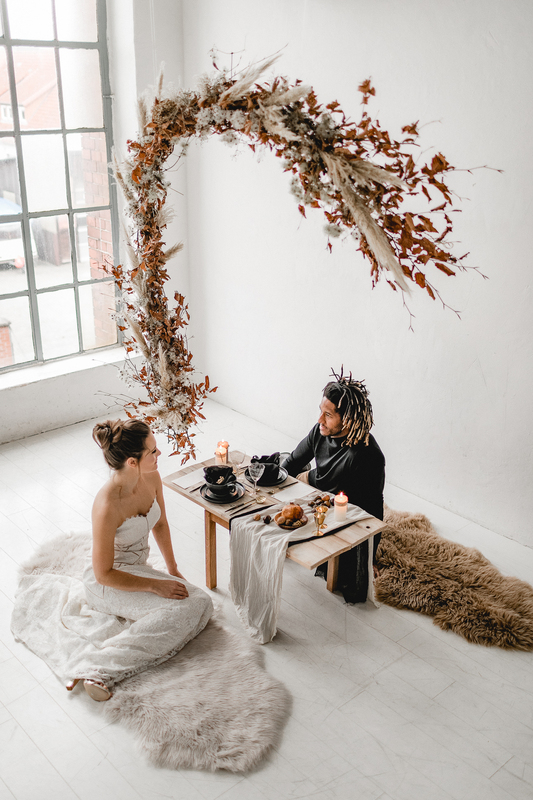 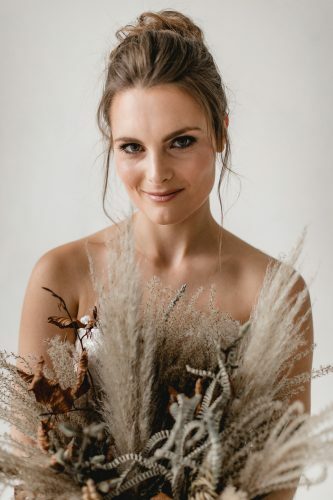 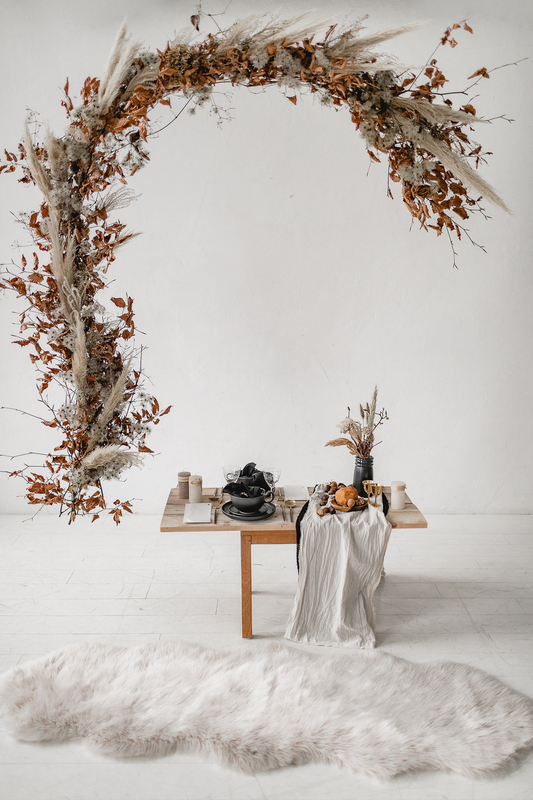 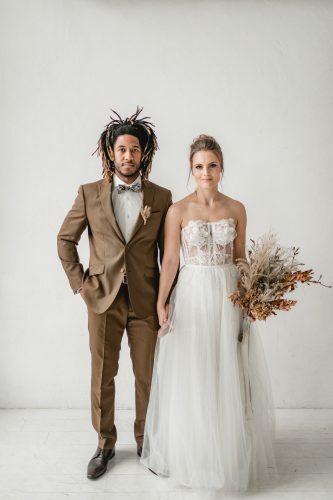 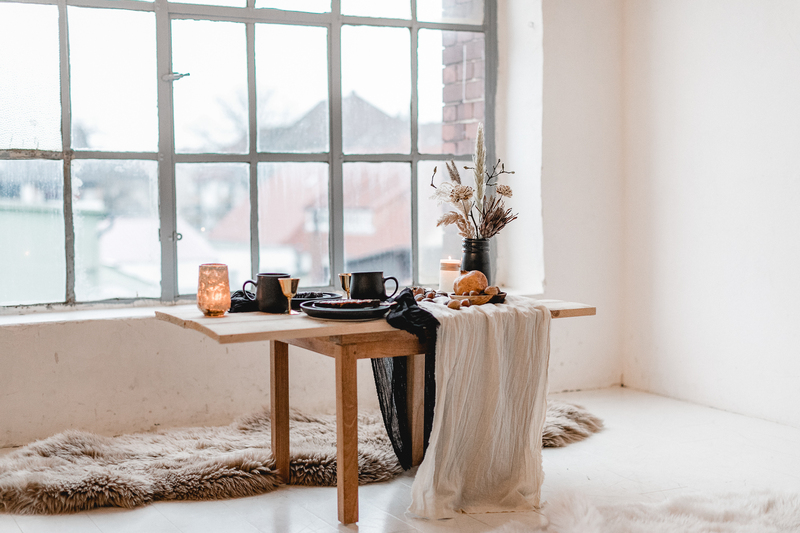 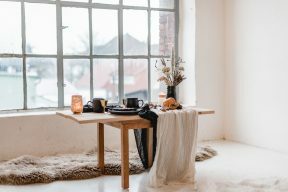 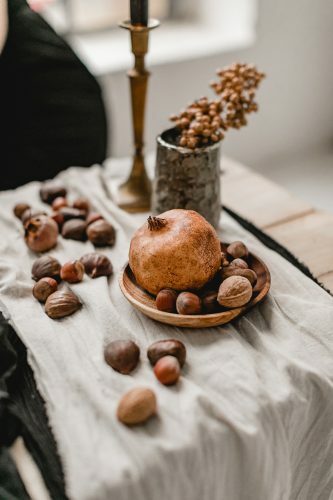 Diana Frohmüller Photography and Sylvia Hartmann Design share this exciting inspiration for the modern Bride and Groom, and it includes two big 2019 wedding trends – Minimalism and Dried Flowers! 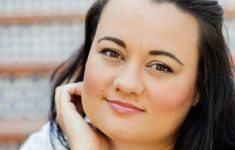 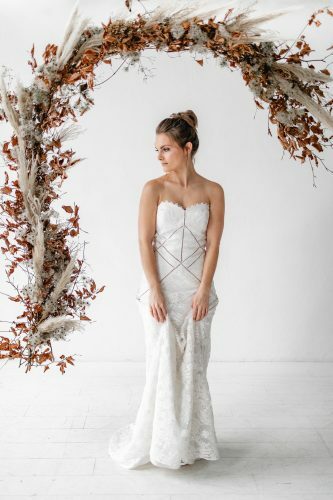 We’re loving both of these trends and of course this variation of by Diana and Sylvia today! 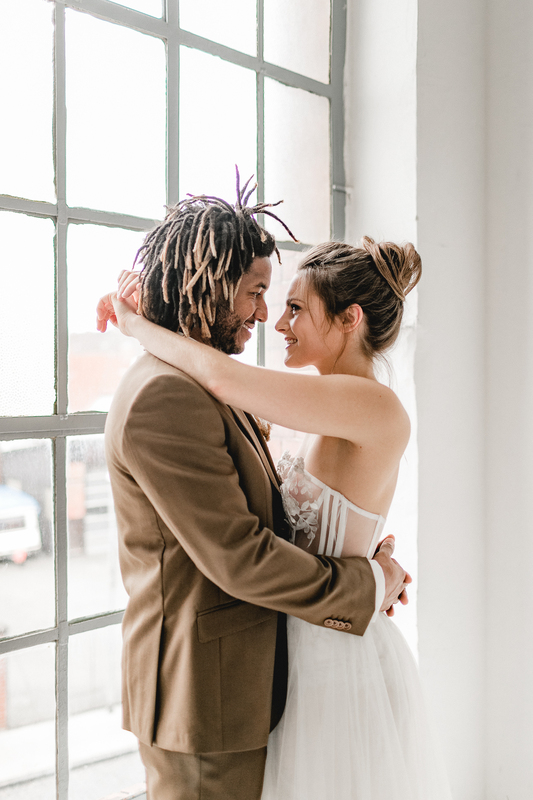 Set in a chic modern light and bright space, it instantly translates to modern industrial luxe style weddings and you could easily see this concept created in a stylish bar type venue in the city – as well as a modern barn venue, or converted Mill/warehouse. 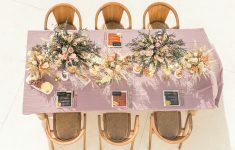 See how easily they take the space from something light and open to exciting and fashionable – and with simplicity, key elements and a modern colour palette. 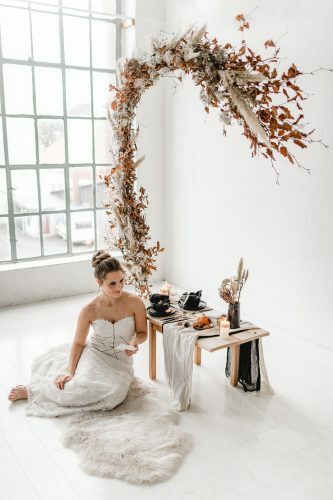 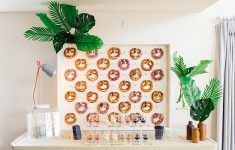 We love the floral installation also created by Sylvia Hartmann Design which works as both a statement floral arch for your ceremony decor, but it’s also an amazing floating piece of art above the tablesetting too! 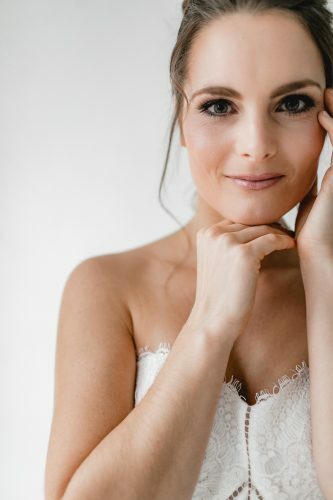 The team captured a few different Bride and Groom looks for this wedding style to suit a range of styles from the more romantic to the super fashionable – and we loved them all! 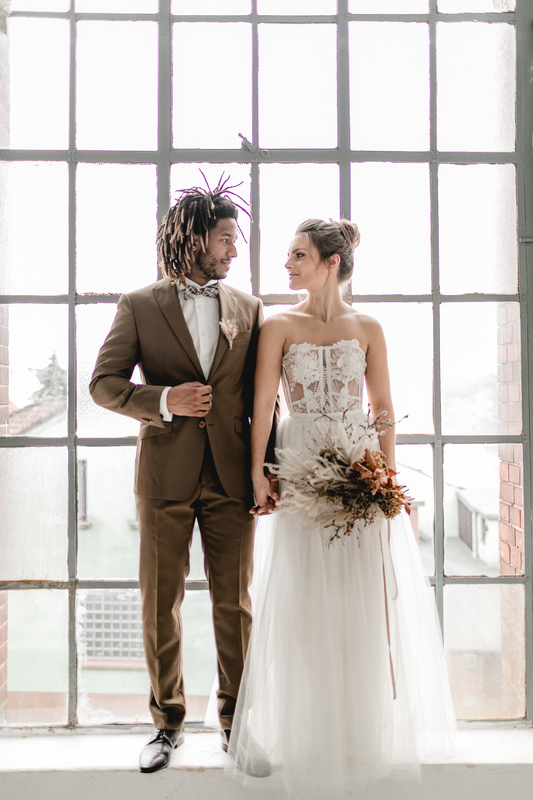 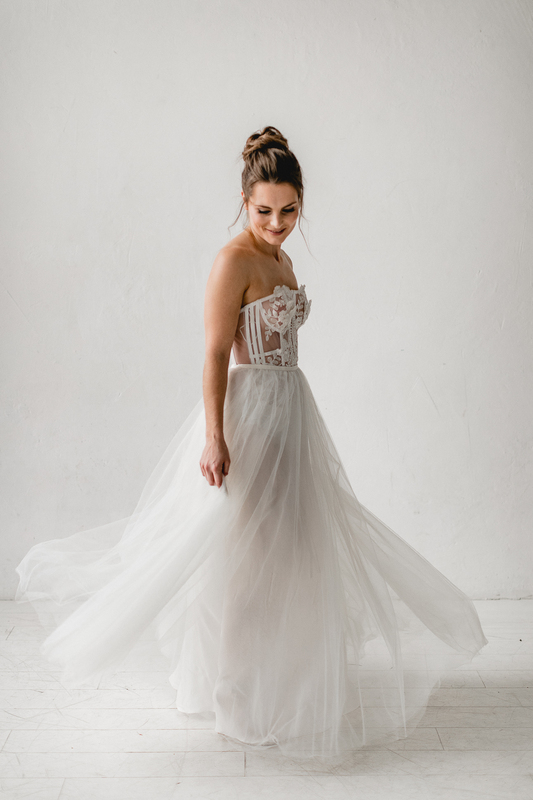 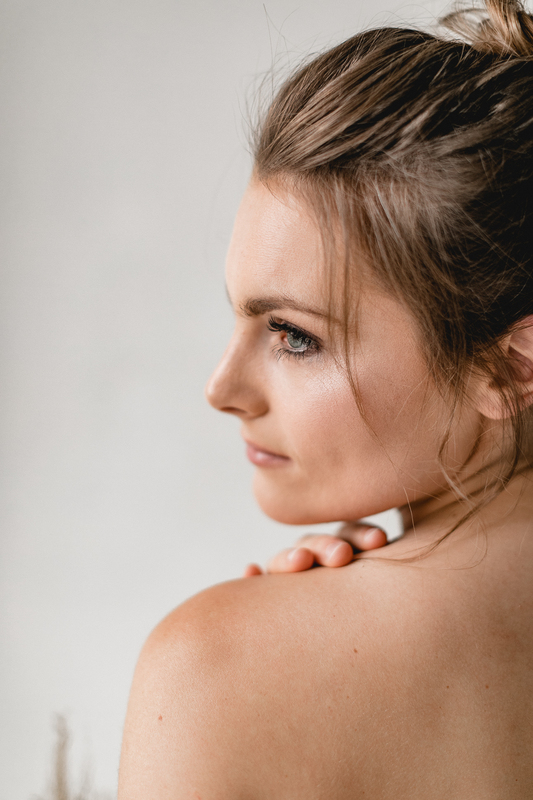 From Marie’s understated chic bridal jumpsuit to the pretty tulle skirted gown and the statement black strappy dress for something really contemporary – each from Cosmopolka. 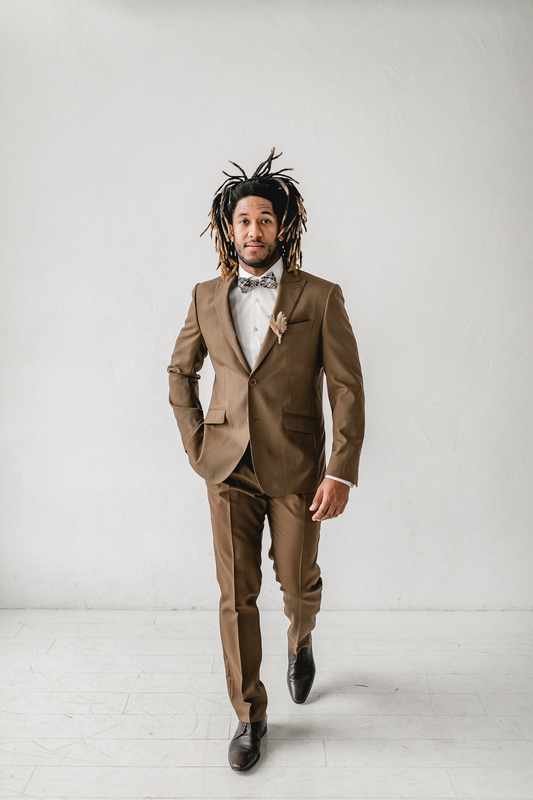 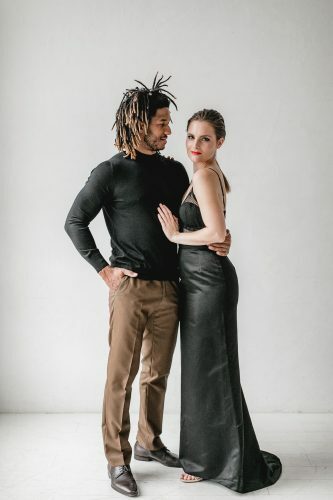 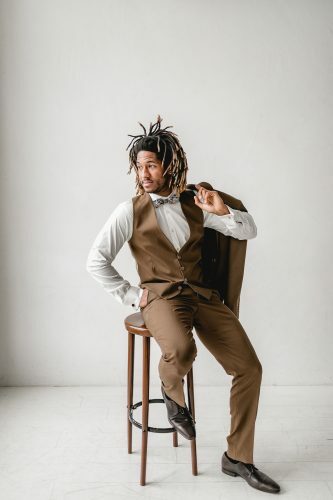 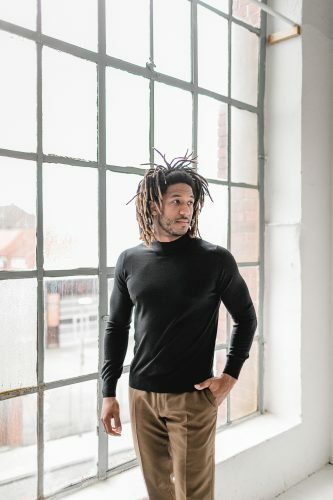 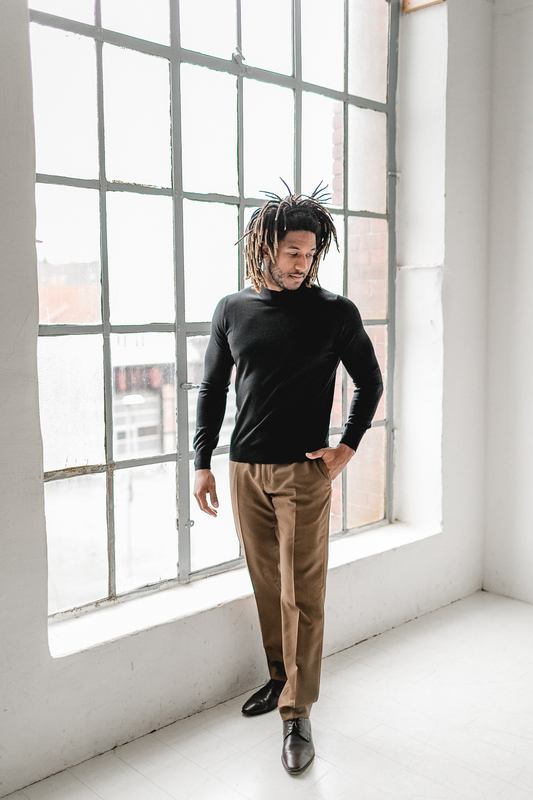 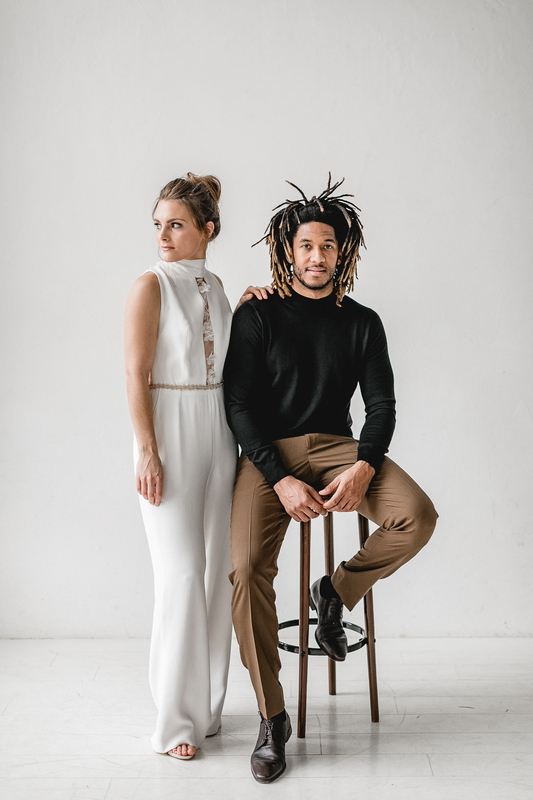 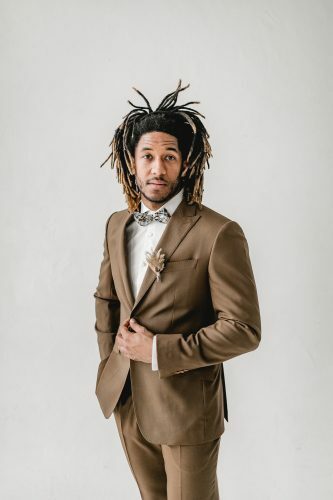 Daniel’s cool Groom’s looks are based around a fashionable brown suit LO & GO and the team show you how to create different looks with this from a preppy and traditional three piece suit – to a relaxed yet sophisticated trousers and black polo neck knitted jumper.